If you break the experience of Sunless Skies down to its elements, everything that’s magical about it becomes mundane. Decision-making, resource management and exploration are all common in the marketplace of modern game design. And there are plenty story-focused gaming experiences out there that try to pull from this same deck of cards. Of course, the knack has always been in how you play those cards. If the dynamic between players and developers is a card game, then the best are always going to be those who find a way to turn the familiar into the unfamiliar. The act of transformation that flips the known into the unknown and quietly morphs the mundane into the magical. It’s a polite lie but a necessary one. An illusion that leverages the sticky, ambiguous grey-space between the cards you’re dealt, the cards people think you’ve been dealt and the chain of suspicion tying the two together. Cause begets effect, and in a world where perception is reality even illusions can be art. Like its predecessor, Sunless Skies a harrowing adventure game that blurs the lines between survival roguelike and decision-driven RPG. Set in an alternate version of history where the Victorian imperialism expands into the stars through eldritch means, you’re cast as the first mate on a ship that begins the game returning to the frontier (colloquially known as The Reach) after your last expedition went awry, leaving your vessel damaged and your captain on their deathbed. Before long, you find yourself at the helm of your own ship and cast adrift into a world of Victorian decorum, cosmic horror and space trains. Out of the gate, you’re given the choice of choosing your captain’s attributes (stats) and their ambition (win condition). Each captain is a blank slate waiting to be filled in. You can become a soldier of fortune, a thrifty smuggler, an overeager explorer or an agent for one of the game’s factions. Fulfill that ambition (or die trying) and you’ll be faced with a choice. Either reset to your last autosave or continue playing as a new captain. If you opt for the latter, you’ll inherit some your items, most of your earned experience and all of your progress when it comes to cartography. 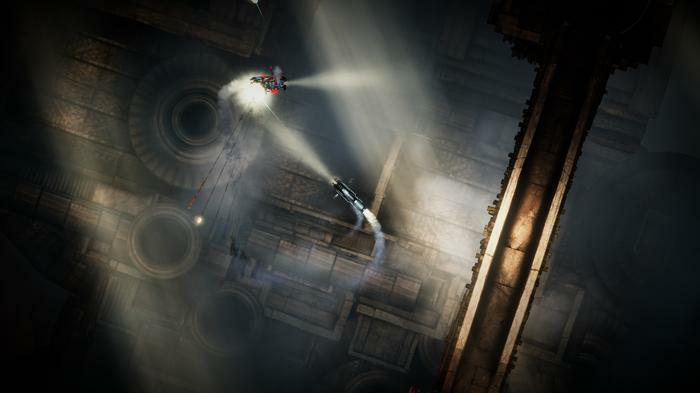 Multiple endings and additional ambitions are unlocked as you play along, so death eventually becomes a necessary part of the Sunless Skies experience if you want to see it all. Even after spending over forty hours in this world, there’s still so much to see. Regardless, the raw gameplay in Sunless Skies can be broken into two halves: Journeys and destinations. When you’re out in the black, you control your ship (it’s really more of space-train) using the keyboard/controller and fire your weapons (when necessary) using the mouse. Combat isn’t especially complicated or deep but it does mesh well with the vibe of the piece. 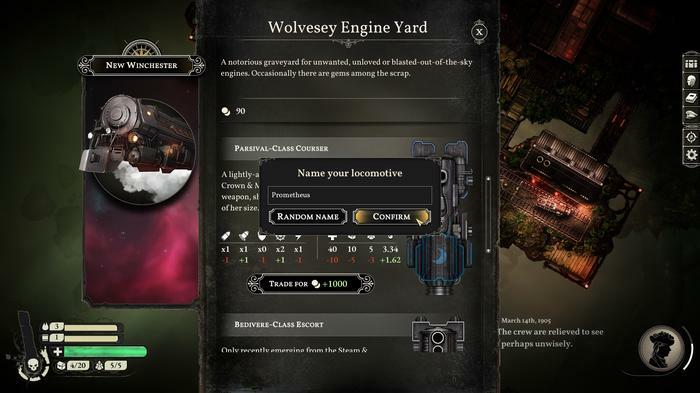 Like many aspects of Sunless Skies, it’s easy to pick up and geared to rewards patience above all. The trick is to pay attention. Running in guns blazing will cause your ship to overheat, leaving you vulnerable. Playing things smart, weaving out of the way of enemy fire and chipping away at their health is usually the way to go. Though the details and visual design varies, there’s a consistent and gradual arc to the way you experience each region in the game. To start with, each map is one big unknown. You never know what will be around the next corner and you never know if you’ll make it back to port in time to restock and refuel your ship. As with Sunless Seas, you also have to manage to the sanity of your captain and crew. If your terror or nightmare stats go too high, your crew will mutiny against you. Though the setting, tone and lingering-fascination with tea parties set it apart, it’s easy to see the influence that space-trader sims like Elite and Freelancer have had on Sunless Skies. Whenever you dock at one of the game’s locations (or stumble upon random events like a wrecked ship or homestead), the focus shifts from top-down astronavigation to interactive fiction. Sometimes the outcomes here are driven by your choices. Other times, they’ll be dependent on your Captain’s stats. Pursuing questlines and exploring each of the game’s four diverse regions will net you experience. Leveling up allows you to augment your character by filling in bits of their backstory with Facets. They might be better at Iron challenges because of a near-death experience in their past - that sort of thing. It feels very inspired by modern tabletop RPGs in a way that I immediately dug. If you’re keen to roleplay your character and pick the Facets that make the most sense, you can. If you just want to see the numbers go up, that works too. Even if death might be lurking around the corner, it always feels like you’re building momentum as you hurtle through the stars.